Jim and Elizabeth Elliot were missionaries called of God to work with the native Indians of South America, in the jungles of Ecuador. Both of them had studied at Wheaton College in Illinois, but they actually met when Elizabeth’s older brother, Dave Howard, brought Jim home for the Christmas Holidays. Each of them went to the mission field alone for a time before they were married, in 1953. Jim was born of a family of evangelists, and had a strong faith from the young age of six. It was common to see his Bible atop his stack of school books, being known for his spiritual stature above his class mates. In his junior year of college, Jim felt his calling would be to work with the tribal Indians of South America, somewhere deep in the jungles. He felt at this time that he should begin this work as a single man. In 1950, his call became clearer to him, knowing that he wanted to go to Ecuador, after meeting a former missionary who told him about the Auca Indians and the spiritual needs of that area. He met some resistance from his family and friends, who thought he would better serve here in the United States. But he answered them in a letter back home, saying, “I dare not stay home while the Quichuas perish. What if the well-filled church in the homeland needs stirring? They have the scriptures, Moses, and the prophets and a whole lot more. Their condemnation is written on their bankbooks and in the dust on their Bible covers.” Jim Elliot, along with Pete Fleming set sail from Pedro in 1952, landing in Guayaquil, Ecuador, then took a plane to Quito, where he lived with an Ecuador doctor who had five children. He stayed there for a few months to study Spanish, and was forced to interact with the children in Spanish, which was an invaluable experience for his future endeavors. Lord I give up all my plans and purposes, all my own desires and hopes, and accept Thy will for my life. I give myself, my life, my all, utterly to Thee to be Thine forever. Fill me and seal me with thy Holy Spirit, use me as Thy will, send me where Thy will, work out Thy whole will in my life at any cost, now and forever. Little did Elizabeth know then, just what that call to service would mean to her, or the sacrifices that she would later be called on to make in her own life. Elizabeth studied Greek and linguistics in hopes of someday being an instrument in translating the New Testament, in as yet untranslated and possibly even unwritten languages. Jim had also studied Greek in preparation for possible translation of the New Testament. Elizabeth along with her friend and companion, Dorothy, joined Jim and Pete in Quito, where they lived across the street from where Jim was living for the time being. Their relationship grew strong, but they were not married until a year later. After a few months of initial preparations for the mission fields to which they were called, they went their separate ways for a while. Jim went to a mission at Shandia, on the eastern side of the jungle, which is called the Oriente, where the Quichua Indians lived. Elizabeth went to a mission on the other side of the Andes Mountains, where the Colorado Indians lived. While Jim and Pete went to work with the Quichua, his vision never faded in hoping to learn more about the dreaded Aucas, who were known to murder any intruders, including missionaries, who attempted to come near their territory. Meanwhile Elizabeth went to work in a small school for the Colorado Indian children and began deciphering their language, which was still unwritten at that time. Jim and Elizabeth had many adjustments to make in their first year of service as missionaries. The standard of living in the mission stations was certainly not what they had enjoyed stateside, to say the least. Things taken for granted here, like running water, daily baths, toilets, processed foods, etc. were virtually unheard of in their primitive jungle homes. It was not only the crossing of geological and cultural barriers, but it was almost as if they had gone back in time to another era. Civilization as they knew it had ceased to exist for them in the jungles of Ecuador. In spite of the time consuming daily struggles of taking care of their physical needs, these sacrifices were small compared to those they were about to make. During these first months of separation, each lost the naivety of life, experiencing the struggles of birth, death, and every hardship of living between these two extremes. But in the process, they also experienced the joys they would never have known, but for coming to this almost, but not quite, God forsaken place in the heart of the Amazonian jungles. Processes were begun to find informants who could speak both Spanish and the tribal languages to begin the translations. They also began making various contacts with the tribal people themselves, who were rarely cooperative unless they were in a time of need. After these first few months, Elizabeth went to live with a missionary family in the Oriente, where she began the study of the Quichua language, and where she could be nearer to Jim, who had proposed marriage to her, by that time. Jim had decided that she must learn the Quichua language before their marriage so as not to get bogged down with marriage duties and child bearing before she could grasp it. Later, they would be married and she would join Jim at Shandia, where they and four other couples would begin the new work of trying to reach the dreaded Aucas for Christ. When they were all in place at their mission stations, there would be occasional evidence that showed that the Aucas had come from the depths of their jungles to pay them a visit. This increased their tension, but also inflamed their passion to make contact. The men came up with a plan to prepare the Aucas for possible contact. First they would fly over the jungles, in search of their hidden clearings that they had been told contained a half a dozen or so larger houses with several smaller ones around them. Then they would fly low enough to yell out on a battery powered loud speaker the simple phrases they had picked up from their informant, who was an escaped Auca woman, which had been involved in a tribal feud. They also planned to drop various gifts of pots, clothing, and machetes to them, thinking that, “Perhaps with a carefully planned, regular program of gift drops, made over a period of time, would show the Indians that the intentions of these white men were friendly, and the repetition would gradually convince them.” When Jim was asked when they made contact if he would shoot the Aucas to defend himself, he only said that he was ready to meet Jesus, but they weren’t. The Indians appeared to respond when large numbers showed up at regular drop points and seemed eager to receive the gifts. Then one day the natives returned a gift attached to a rope and bucket that the men used to drop the gifts to the Indians, which greatly encouraged them. The next step, the men had to find a suitable beachhead close to Auca territory that could be used for an airstrip. They found one such possibility, which they named “Palm Beach.” They made a test landing, and it turned out to be a hard gravel surface suitable for landing on. Then finally, “Operation Auca” was set in motion, which would forever change their lives. The men were to spend at least five days on Palm Beach, while remaining in contact with the girls back at the mission station through regularly scheduled radio contacts. On the first run, Jim and Roger were to be dropped off to set things up at camp. Then Ed, then Pete, and the remaining supplies would be dropped off as Nate began the invitation for a meeting with the Aucas from the plane. On the fourth day, an Auca man and two women showed up at Palm Beach. They called the man George, and the younger woman “Delilah.” They shared some tense moments and then both groups began to relax as the communication efforts began with giving the Indians a gift. George took an interest in the plane and decided to go for a ride at Nate’s invitation. Together, they flew over the villages low enough for the others to see him in the plane. Later, back at the beach, George, Delilah, and the other woman left them for the night with great hopes for another visit in the morning. A radio contact was set for 4:30 pm the next day with the women. At 4:30 there was no contact from the men, and by 7:00 am the next morning, Johny Keenan, who had been Nate’s colleague in the Mission Aviation Fellowship, was in route to search the beach, which Nate had pointed out to him earlier. The plane was spotted, stripped of its fabric, with no sign of the men. The United Air Rescue Service was called in to search for the men, which found four of their bodies down river, speared through with Auca lances. 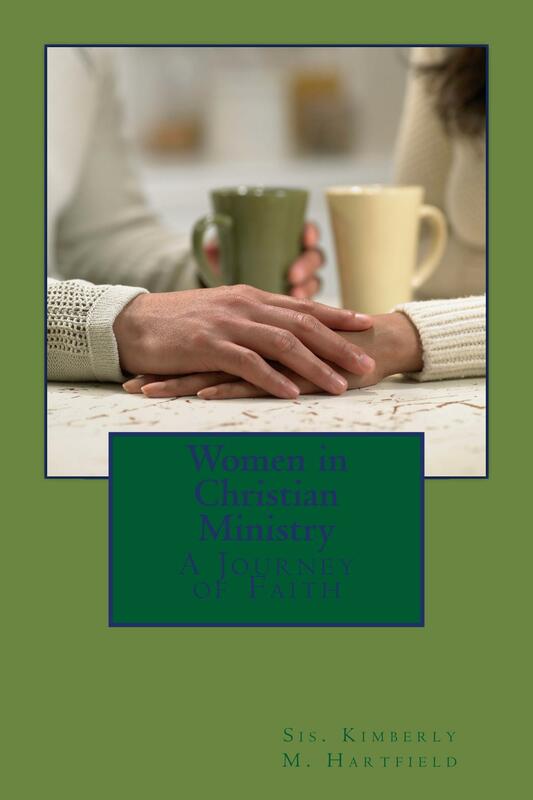 This entry was posted in children, Christianity, devotionals, education, Health and Safety, homeschooling, Marriage and Family, Ministers, Parenting, Women in Ministry and tagged Andes, Ecuador, Elisabeth Elliot, God, Huaorani, Jim Elliot, Pete Fleming, Quechua languages, Quichua. Bookmark the permalink. 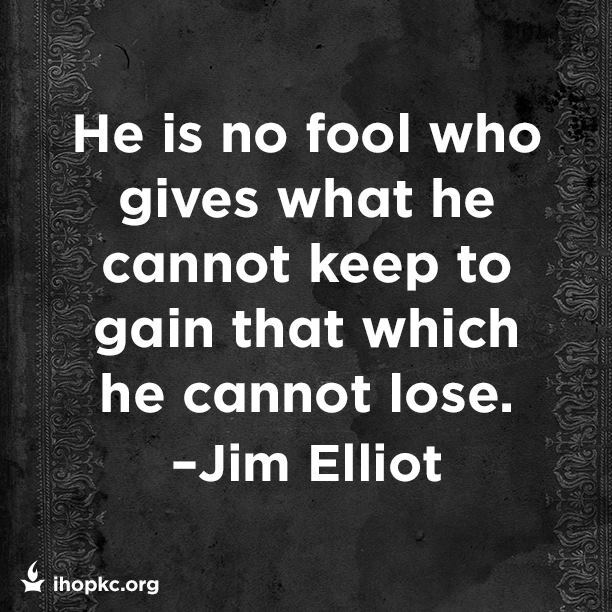 Jim Elliot fired his pistol hitting Namba in the head, fatally wounding him. This is what stared the spearing. Elliot was filled with fear not God. Many have researched the truth about what happened. The truth is there and it will set you free. From the Conquistadores to the jesuits to the fundamentalist missionaries – the story is always the same. The wealthy want more wealth and will use religious dogma to get it. I lived with a clan of Huaorani in 1976. They were pre-contact and pure. Even they knew the truth about what happened on Palm Beach. The Saint family was originally financed in part by the CIA and Standard Oil. It just amazes me how as time passes history is re-written to suit those that impinge on and conquer “poorer” indigenous people. It is my sincere wish that you do learn the truth about what happened to The People as the Huaorani call[ed} themselves. Please, leave the indigenous peoples of the world alone. Look to your own soul. I don’t believe a word you say! Your name says it all!